Here’s the pitch: air taxis would be much quieter, and theoretically much safer, than traditional helicopters. What’s more, they could take off (and land in) from smaller spots, such as domestic driveways or parking garages. Supporters say that flying taxis could relieve congestion on crowded city roads, though the risk anyone under them faces is still unknown. Of course it’s not that simple. There aren’t any electric-powered aircraft — or even gas-electric hybrids — that are commercially in service today. That makes the project much more difficult, since engineers will have to develop batteries for the task; flying requires a lot of energy, and most battery technology right now isn’t ready for anything other than short hops — it’s just too heavy for the amount of power it supplies. Most experts predict that it will be years, if not decades, before the technology enables longer flights. And that’s just the practical side. The Federal Aviation Administration and local regulatory bodies will also take an interest in monitoring and regulating these vehicles. But Page appears unconcerned by the risks involved. He has never talked publicly about his flying car projects, but he has been the driving force behind Google’s — and now Alphabet’s — high risk, high reward X moonshot programs. “We should be focusing on building the things that don’t exist,” he told a Google conference in 2013. Page funded Kroo’s company Levt, which quickly changed its name to Zee.Aero in 2011. Zee focused on the first electric flying taxi; one early version imagined individuals being transported via a tether from a small drone flying overhead. Page’s ambitions were bigger than any single aircraft. Page acquired Opener, then known as SkyKar, in 2014, according to multiple sources familiar with the deal. Its founder, Markus (now Marcus) Leng, says he came up with his SkyKar concept in Ontario, Canada even before Kroo, in 2009. His first prototype took to the air at his home in 2011. The next year, SEC filings show that he received at least $1.1m in investment, but Opener says that Page did not invest at that time. It’s possible to track Leng’s progress through government filings. In 2012, Leng made a patent application that appears to describe something very similar to Opener’s BlackFly vehicle, which the company recently unveiled. Then, in September 2014, a Canadian government website recorded that SkyKar had been acquired by someone in the US, using a Canadian shell company. Two sources say that this was Larry Page, and one said that he paid over $10 million (US) dollars for the young startup. On Opener’s website, it says merely that SkyKar “relocated” to Palo Alto at that time. SkyKar apparently led to Opener Corporation (later Opener Inc), which was founded in September 2016, according to California business records. A filing from February 2018 shows Opener operating at the same address in Palo Alto where Kitty Hawk was first incorporated. Opener told The Verge that Kitty Hawk never occupied that location, although that is contradicted by a state filing made in 2015. Opener’s first version of BlackFly was described as “a bit homebrew but really, really cool” by one source, who has seen it flying. That source also says that Opener’s engineers did not originally realize that laying up the airframe’s carbon fiber in the correct direction was critical to achieving full strength. Opener denies this account. Even as Page was completing his purchase of Opener, he was wooing Sebastian Thrun to oversee his growing army of flying car engineers. Thrun is another Stanford professor; he’d led Google’s wildly successful street mapping and self-driving car projects. Thrun’s arrival shook up both the Zee and Opener teams. Kroo returned to Stanford, with his director of engineering Eric Allison assuming the CEO position at Zee. (Allison has since joined Uber’s flying car project.) Thrun also brought his own ideas, including the Flyer, a single-occupant, lightweight flying boat for leisure use. This would be developed under a new company, Kitty Hawk, of which Thrun would be CEO. Page sees the enmity between Leng and Thrun as a feature rather than a bug, according to two anonymous sources. One person familiar with the flying car horse race told The Vergethat Page wanted rivalry among the engineers — because no matter who won, Page won, too. Kitty Hawk launched first. Its Zee taxi, now called Cora, was undergoing flight testing in New Zealand prior to the launch of a commercial service, the company said in March. In June, the Kitty Hawk started taking buyer reservations for the Flyer. After several iterations, and apparently many thousands of miles of flight tests, Leng launched the BlackFly last week. It’s more stylish than Cora, although with a lower top speed and shorter range. BlackFly has eight rotors, and has a whole-plane parachute in case of failure — a feature shared with Cora but not the Kitty Hawk Flyer. 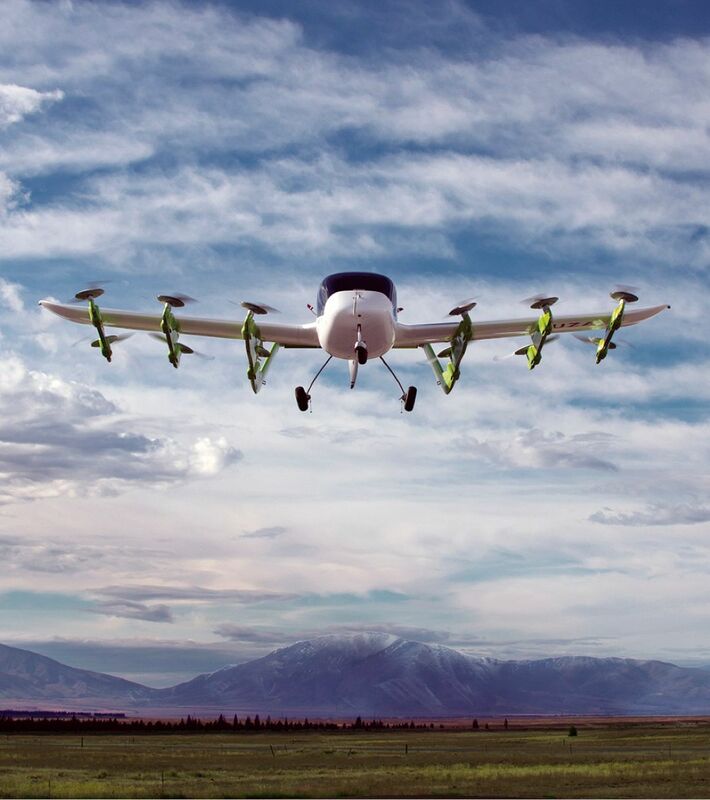 Page’s three eVTOL projects have made it this far thanks to a group of strong-willed engineers and his own deep pockets. To really take off, the buying public will need to be convinced that flying cars are safe, affordable and more than just a billionaire’s toy. And that’s a question that is still up in the air.